Accurately convey your message to the public? Generate consumer / customer confidence? In order to accomplish these goals, it is essential that your Web design team gain an intimate understanding of the way your business operates. Too many companies just don’t listen. DataComm’s approach to Web site design focuses on collaboration and interaction with our customers. Together, we can identify successful marketing and advertising initiatives currently in place while gaining an understanding of your business needs and objectives for the future. A thorough review of this critical information provides the foundation for building on what works. At the same time, opportunities for improvements and strategies for growth can be developed. 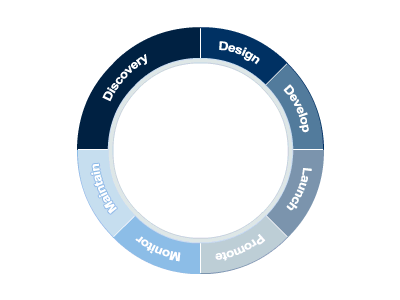 DataComm’s customer-centric approach insures your active role in the creation of an effective tool for your business. Contact us if you would like some examples of our website design. This is when we will get a detailed a picture of the clients requirements. This step involves working closely with the client to come up with a satisfactory design and planning how the content will be presented. In all sites one of the most important parts of this stage is designing a site architecture and navigation system. For the client this phase involves gathering content and getting it into the agreed format for supply to you. At this point we build an actual site and, with the client, continuously test and refine it as we go. This stage will include adding all the functionality required, creating or working with images and copy, ensuring that code is correct, adding meta tags, alt tags and so on and generally honing the site to get it into shape for public viewing. If usability testing is undertaken, and some level of user testing really does benefit every site, this is the time to start as obvious problems and deficiencies can be worked out before the site goes live. This stage involves the publication of the site so that it can be viewed by the public, dealing with any teething problems that arise, submission to search engines and directories and ongoing usability testing. Initiate coordinated campaigns with client representatives to drive traffic to the Web site. Some allowance may have been made for this in the original quote, but in any case the details of how maintenance will be undertaken, who is responsible for it and how it will be paid for needs to be defined clearly as part of the over all project definition. If a content management system is used or if the client will be updating using FrontPage then a training and/or support element may be included here also.